Guest post – Menu Maniac | eat. live. travel. write. When Mardi asked me to draft a guest post, I was honored. Gosh, just the fact that someone besides my husband reads MenuManiac had me doing cartwheels! In the spirit of Mardi’s travels, I want to share five of my favourite restaurants around the world! 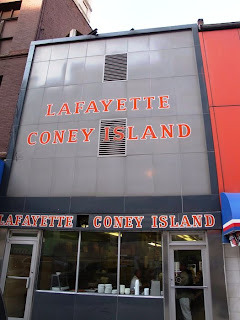 A few years ago I had never heard of a “Coney” dog. Now I know to ask for a single, no onions. 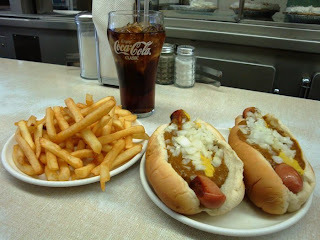 Coney Island hot-dogs are wieners topped with raw onions, mustard and chili. Sounds (and looks) kind of gross but tastes oh-so-good. Should you venture to Mexico’s Pacific coast, make time for authentic food at this open-air spot. You’ll find mainly locals and a few tourists enjoying tacos and beer. Order the nachos and you’ll get two or three freshly-made tortillas absolutely smothered in refried beans and cheese. Hubby always orders the most expensive menu item — a $12 steak dinner complete with an enchilada, guacamole and rice. Their New York-style pizza, Buffalo chicken wings and homemade gnocchi have been a family favourite for as long as I can remember. When planning your first visit, be sure you go hungry. Then order a pizza with pepperoni and mushrooms (their pepperoni curl up like little bowls and are out-of-this-world! ), Buffalo wings medium and a chef’s salad with shredded mozzarella on top. On your way out the door, pick up a bottle of their homemade salad dressing and be sure the cashier gives you a few LifeSaver lollipops. Chef Mara Jernigan is committed to Slow Food. On the farm, the gardens are filled with vegetables and herbs, and rare breed San Clemente goat and Navajo Churro sheep graze in the apple orchard. Unless you are staying on the farm, lunch is your only dining option. During the summer months, a leisurely Sunday lunch is served. You sit at a communal table for the six-course meal complete with homemade pasta, matching local wines and the freshest local ingredients available during that particular week. 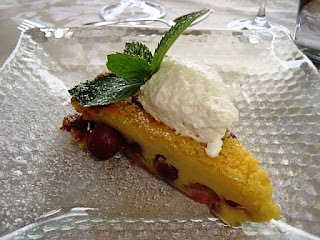 If you’re lucky, Mara will make a cherry clafouti for dessert; the person with the most cherry pits wins a gift certificate to come back for lunch again! Expect a crowded, noisy, and ridiculously flavourful meal. Hubby ordered the grilled squid in a black clay casserole dish and I can’t remember what I had. What I do remember is that we ate here twice during our five-day stay in the city. In addition, the chef has cooked for the King of Madeira. That’s got to be a good thing! Now, tell me about your favourite food spots! Fabulous picks and oh-so diverse. I'm putting Fairburn Farm on my list, for sure. Great list! I'm surprised Treadwell's isn't on your list. 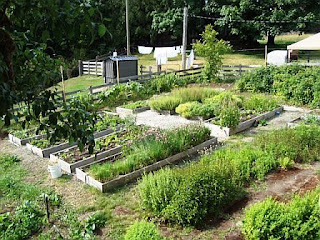 Fresh Eats – you will love Fairburn Farm. It's worth the trip out west. La Dauphine – Treadwell's truly is one of my favourite restaurants but I've already written about it so many times so I tried to come up with some other recommendations.